Make as much ahead as possible. Precook meats, roasts, vegetables, soup…all of it. Store in portioned containers or plastic bags and immediately freeze what you won’t need within the first few days. This way, if you lose power, your items in the freezer will take longer to thaw and come to room temp, leaving you with less waste to worry about. Make *nice* with your pressure cooker or slow cooker. These sorts of devices will become your best friends! In the case of power loss, you could cart them to another home, school or even gym with power and reheat meals easily. Prep as much food as possible right now. If you lose water when you lose power, then you’ll want to handle as much prep as possible while you can still keep a sanitary work surface and wash your hands. Portion out oats into jars with dried nuts and fruit so that making overnight oats is easy. Store water in plastics bags or glass jars. Pre-slice all veggies and fruit and store in air-tight containers or bags until ready to use. Prepping ingredients like this will also make traveling with them easier. 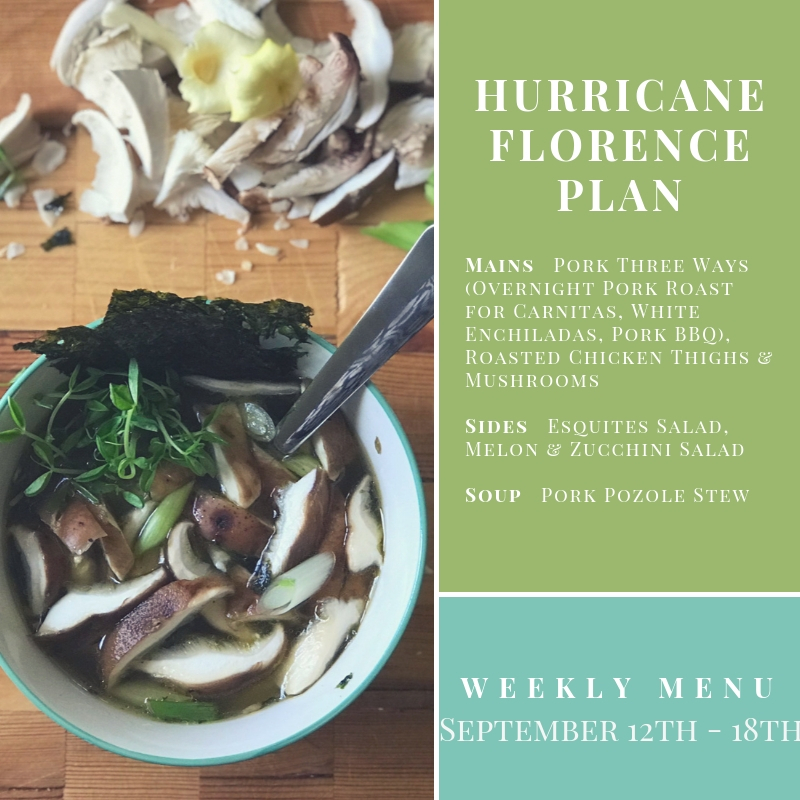 Visit our FREE Hurricane Meal Plan NOW, stock up on necessary items and get ready for this storm with healthy food in tow.